One of the great things about working at RB SAILS is the different, and interesting projects we are asked to do. 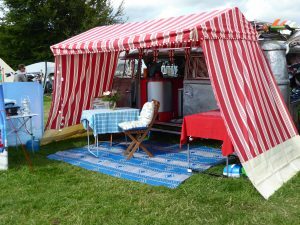 This customer has an amazing old VW Camper and sourced a traditional frame style awning that mounts to the roof. 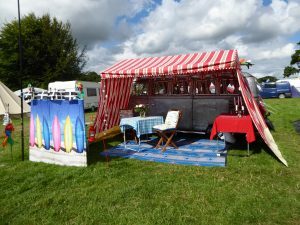 We made the fabric canopy and side sheets in the fabric supplied and the customer kindly sent us these pictures. Looks like a great set up for a cup of tea in the sun! Give RB SAILS a call on 01736 754659 if you have anything that needs making from fabric.